Mazzella Companies has been a Spanco distributor for more than 15 years. From Alabama to Pennsylvania, Mazzella has 15 locations throughout the United States. You can depend on Mazzella to provide your worksites with any Spanco brand jib, workstation, or gantry crane, as well as Rigid Lifelines Anchor Track fall protection systems. Launched in 1954 by James Mazzella, this company started out as Mazzella Wire Rope and Sling. Early on, they crafted hand-braided wire rope slings that became a staple in the construction industry throughout Northeast Ohio. Evolving into what they are today, Mazzella Companies is now one of the largest independently-owned companies specializing in manufacturing and distributing lifting products for commercial, industrial, and speciality uses. Mazzella is committed to providing high-quality products and services to their customers. Their services and products comply with OSHA and ASME standards and include inspecting and repairing rigging equipment, such as wire rope, chain slings, synthetic web slings, etc. Additionally, they offer training courses in full compliance with OSHA for cranes, hoists, and rigging hardware, as well as site assessments for compliance programs. Mazzella Companies is a proud vendor of Spanco products. They believe that Spanco’s material handling systems are high-quality, cost-efficient, and durable. 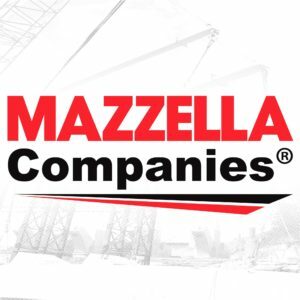 Choosing the best Spanco material handling solution for your application is easy when you go through a Mazzella company because they have the expertise to get the job done. Visit their company website for more information on where to purchase your Spanco crane and browse through their blog for more industry expertise. Are you a Spanco dealer interested in being featured in a Dealer Spotlight? Contact your Spanco Regional Sales Manager for more information.